The project aims at improving water supply to one of the low-income communities in the peri-urban area of Blantyre. 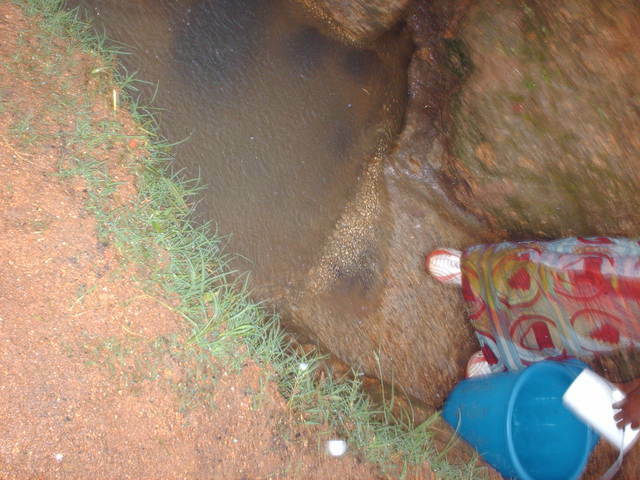 The communities are currently served by Blantyre Water Board, a local water utility company (one of the state-owned municipal water companies), but in many cases service is inadequate to meet community needs. Although the Blantyre Water Board is mandated to provide a piped supply of treated water to all households, this level of coverage has not yet been achieved, particularly in low-income areas. Low-income areas include both (legalized) Traditional Housing Areas and (illegal) unplanned settlements within and in surrounding planned urban areas. Income levels and water supply and demand characteristics vary across this area. Poverty is prevalent in the unplanned areas and Traditional Housing Areas. Bangwe comprises of both THA and unplanned settlements. The areas also vary in terms of Water Board service. Traditional Housing Areas generally receive Water Board service because they are legalized or officially recognized (and thus have a right to infrastructure services), and have more accessible plot lay-outs. Many unplanned settlements are also serviced to some degree by the Water Board. However, because they have uncertain land tenure and tend to have dense and disorderly housing patterns, making it difficult to lay down water piping, they are predominately supplied through kiosks. Other unplanned settlements are not on an existing Water Board grid at all. Most of these unconnected areas require long extension piping to be reached, making system expansions and new connections a costly exercise. Many households in low-income areas, buy water from kiosks supplied by the Blantyre Water Board, or from other households with a domestic connection. 10 to 30 percent of households in low-income areas rely on untreated water supplies. Water Board, while others were constructed by the City Assemblies or by donor groups or non-governmental organisations. Operators for the different kiosks include Water Board employees, community committees, local leaders or politicians (who have “captured” the kiosk from a community committee), community-based user associations and private businessmen. Some operators are responsible for more than one kiosk. For example, the user associations run all (or the majority of) kiosks within a defined geographic area. - High risk of vandalism on kiosks and pipes (which are not promptly repaired by the Water Board, leading to supply shortages at kiosks and customers being diverted to the “free” supply of leaking water). 125 people per tap x 4 taps x 2 kiosks (each kiosk has 4 taps). As per Malawian government regulations, each tap should serve 125 people which will consist of all family members. 50 households x 6 people each. As per Malawian government regulations, each household should have its own latrine. Thus, all 300 latrines will serve all family members. One private sector provider will be identified and empowered to provide sanitation services - latrine construction and latrine emptying. All water and sanitation beneficiaries will be recipients of hygiene education focused on hand-washing and safe water storage. Piped water through kiosks that have four taps per kiosk. Water will be provided by the Blantyre Water Board. The project will have several phases that will have evaluation points. Instead of the Blantyre Water Board or the City Assembly staff or community volunteers, managing the kiosks, Water User Associations will be formed that will be independent from any political influence and manage the actual number of kiosks in the area. A secretariat and employees will sell water (collect tarrifs) and record accounts. Well regulated tarrifs will be established. The communities are willing to participate in the project. We are in partnership with the Blantyre Water Board and Blantyre City Assembly who are keen to change their performance. Hygiene education is a part of all Water For People projects. The beneficiaries of water and sanitation as part of this particular project will be targeted for hygiene training with an emphasis on hand-washing at the appropriate times as well as safe water storage. low income areas. Studies by W. Kamau Kariuku Civil Engineering & Manjoo Consulting Center in May 2004 indicate that more than half of people residing in these informal settlements have no access to Blantyre Water Board’s water. Water supply is mostly provided through communal or public facilities and/or stand pipes owned by individuals who charge exorbitantly and at times can not be trusted to observe the acceptable health standards. Almost all households in Blantyre have something that looks or works like a latrine but there is a high level of sharing. One household latrine can be used by 30 people. Another problem is that when the pit is full it is abondoned and another pit is dug. However with the inreasing population, pits fill up quickly and soon there will be no space for new latrines. In order to support and sustain the water project over time, each community will be responsible for collecting a total of $404 annually from water users, totaling $808 for two communities. Each community management committee will determine the amount that each user must pay and when that will be collected in order to have adequate spare parts available. Furthermore, each community will have a trained committee in operation and maintenance, both pieces ensuring technological viability over time. Lastly, Water For People has a team of volunteers who conduct monitoring of the projects every year to determine functionality, use, quantity and quality of the water systems, latrines and household hygiene. This will allow for transparency, accountability and follow-up on all Water For People projects. It will cost $30,875 for two community water kiosks (4 taps each) and 50 household latrines in peri-urban Blantyre. The Blantyre Water Board will contribute $2,500 towards the project. Communities will provide $2,500 in capital cost contributions for the project as well. It is Water For People's goal to partner directly with local government bodies in all of its projects. As such, Water For People--Malawi is partnering with the Blantyre Water Board and the Blantyre City Assembly to impact water and sanitation coverage in the Blantyre peri-urban areas over the course of its five-year strategy. Blantyre Water Board is the only entity that provides a treated, piped supply of water in Blantyre. In theory, these two communities are currently "served" by Blantyre Water Board, a local water utility company (one of the state-owned municipal water companies). Although the Blantyre Water Board is mandated to provide a piped supply of treated water to all households, this level of coverage has not yet been achieved, particularly in low-income areas. Low-income areas include both (legalized) Traditional Housing Areas and (illegal) unplanned settlements within and in surrounding planned urban areas. It is Water For People--Malawi's goal to build the Blantyre Water Board's capacity as a water provider so that these challenges are mitigated. Furthermore, a combined partnership with the Water Board and the District Assembly allows for coordination to ensure that all inhabitants of these two communities (initially) have access to safe water and no one is excluded. Now that there is decentralization in Malawi, most development projects are being managed by the District Assemblies. Blantyre's District Assembly has a water and sanitation department that receives support from the national government for water and sanitation projects within the District. Water For People--Malawi will also partner with the District Assembly to strengthen its ability to plan, manage and supervise work in their area of jurisdiction, and establish a series of clear and measurable field-based and institutional targets for Water For People--Malawi's five-year strategy. This is a very interesting project in that it bridges community with local governance in its water delivery and managment structure. What do you anticipate as the stakes of the Water User Associations? Who sets their monetary compensation ? How do you prevent them from being biased, without foregoing the users' voice? How do they partner with the Water Board and Assembly? Malawi has not yet formalized Water User Associations as legal entities, but there is currently a movement to get these into place. As such, Water For People--Malawi is partnering with the Blantyre Water Board and the Blantyre District Assembly to get sound model Water User Associations into place that can provide a concept example so that they can eventually be formalized throughout the country. These pilot WUAs will have a formal set of rules and regulations determined in partnership with the BWB and BDA that will be agreed to in order to limit the stakes as well as any biases. It will be up to the BWB and BDA to monitor these new WUAs to ensure that they abide by these regulations. The Blantyre Water Board will be responsible for determining the monetary compensation for the tariffs as well as the kiosk managers. These are standards that are set by the BWB across the board. Hi Ned - a thoughtful and clear proposal. A challenge you mention is the high level of sharing of latrines. How do you encourage appropriate level of use for latrines? It's Wende from Water For People who is the contact on this proposal - sorry for the confusion. Thanks for your question. Regarding latrine usage, the program is designed to work with and identify private sector sanitation promoters who will be responsible for establishing latrines at the household level to discourage sharing, and additionally they will be exploring desludging as a solution to emptying latrine pits in a sustainable manner. •	High risk of vandalism on kiosks and pipes (which may not promptly repaired by the Water Board, leading to supply shortages at kiosks and customers being diverted to the “free” supply of leaking water). Private managers are less likely to tolerate such problems, as they would cut into profits. Similarly, although this was not mentioned per se, but if there are problems with non-payment by users, this is usually much more readily dealt with by private sector management. What is the response by the Water Board to non-payers? Are they cut-off from services? Existing Water Supply and Sanitation Services: Leal areas have good service. Illegal areas have scattered service to some areas. However, “in many cases service is inadequate to meet community needs”. The proposed infrastructure would mainly provide services to the illegal areas where services are minimal or absent altogether. There is a clear demand for improved services at the proposed site. •	125 persons per tap seems reasonable as that is about 25 families. Will tap users pay? If not, who will pay for O&M? •	There does not appear to be any initial assessment of the proposed raw water source, although it does say that water quality will be tested annually. The proposed source should be first tested and meet government WQ standards. At least the raw water quality should be able to be treated to meet those standards as a pre-condition for providing BPR funding. •	Capital Investment Cost - $30,875 (proposed) from BPR, supplemented with a very modest $2,500 in local co-financing from “communities”. Does this mean local government, or beneficiary contributions? Is that in cash or in-kind? What about beneficiary contributions (see below)? •	For the piped water users, O&M costs are estimated to be only $808 per YEAR. For similar sized (number of beneficiaries) pumped treated water systems in Vietnam, the monthly O&M cost is about $250 per MONTH. Is this $808 a reasonable estimate? •	Will tap users pay? If not, who will pay for O&M for the public taps? •	Co-financing (cash and in-kind) by local government (cash) and beneficiaries (cash and in-kind services such as digging the pipe line trenches)? •	Who will provide operation, maintenance, repair and replacement technical support? •	Are all necessary parts and materials readily available at reasonable prices from local providers? (I assume so, as it is apparently right outside the capital city). •	Who will establish (and adjust from time to time) the water tariffs? •	Are there qualified local private technicians (or possibly Water Board staff moon-lighting) who can and will be willing to provide technical support services as required? Presumably yes, as it is near the capital city. Thanks for your thorough analysis. Please find responses to your questions directly from our field director below. ANSWER: No, beacuse this is not independent of the Blantyre Water Board system, which is the only body mandated to supply potable water in Blantyre and the peri-urban areas of Blantyre. So the water will still come from Blantyre Water Board (BWB). There are plans to do some reforms within the Blantyre Water Board, but its not yet clear whether it will be privatised or not. Privatisation is one of the options, but most civil organisations are already not comfortable with privatisation. Here is a brief description of what will happen. BWB has a very big system (though very old) that supplies water to Blantyre city, peri-urban areas of Blantyre, and other districts near Blantyre. The system was built more than 50 years ago and is therefore a very old system designed to serve fewer people than it is serving now. In the unplanned areas water supply is mostly communal through water kiosks unlike in the planned areas where people have household individual connections. There are some households with individual connections in the unplanned areas but these are few. Those with individual connections are those that are better off and can afford to pay for the connection fee charged by the Blantyre Water Board. These are households with some land and also accessible by car. Sometimes these individuals do sell water to those that do not have a household connection, but at a rate higher than that is recommended by BWB, MK4/20L bucket instead of MK2/20L bucket (MK= Malawi Kwacha). ANSWER: This is a huge challenge which is due to the fact that the BWB system was designed for a population 20 times smaller than the number of people it is serving now. It is a very old system installed over 50 years ago that needs major rehabiltation. The Government of Malawi and the Board recognise this challenge and have already sourced funds for the rehabilitation of the system. The project will take three years. We believe by 2011, this will no longer be a challenge. We are in partnership with Blantyre Water Board to make sure it takes care of the needs of the urban poor. Currently they have established a Kiosk Management Unit, which takes care of the needs of the peri-urban water supply through the kiosks. So far there has been improvement in terms of time they take to respond to water problems in the unplanned settlements. ANSWER: This is being taken care of by the above mentioned project. Several options will be considered. • High risk of vandalism on kiosks and pipes (which may not promptly repaired by the Water Board, leading to supply shortages at kiosks and customers being diverted to the “free” supply of leaking water). ANSWER: The system has 2 parts; 1 before the meter, is the responsibility of the BWB, while the part from the meter is the responsibility of the water user. In our proposal we have included cost for constructing meter boxes to protect the meters from being vandalised. Most of the time it is a meter which is stollen. Existing Water Supply and Sanitation Services: Legal areas have good service. Illegal areas have scattered service to some areas. However, “in many cases service is inadequate to meet community needs”. The proposed infrastructure would mainly provide services to the illegal areas where services are minimal or absent altogether. There is a clear demand for improved services at the proposed site. • 125 persons per tap seems reasonable as that is about 25 families. Will tap users pay? ANSWER: 125 persons per tap is in line with government regulations. Yes, tap users will pay. Actually people in the unplanned settlements, especially those that do not have household connections, pay as they use. If they have no cash, then they are denied access to safe water. They buy water per 20L bucket. • There does not appear to be any initial assessment of the proposed raw water source, although it does say that water quality will be tested annually. The proposed source should be first tested and meet government WQ standards. At least the raw water quality should be able to be treated to meet those standards as a pre-condition for providing BPR funding. Capital Investment Costs and Financing. ANSWER: The water will be supplied by BWB. BWB has several sources (reservoirs), but this water will most likely come from Mudi Dam. The BWB has a treatment plant and Laboratory that folllows both World Health Organisation Standards and Malawi Government standards. The water is tested before its distributed either to households or kiosks. They also have monitors who collect random samples from different distribution lines. Doing regular treatment or testing for our kiosks would be a duplication of efforts. • Capital Investment Cost - $30,875 (proposed) from BPR, supplemented with a very modest $2,500 in local co-financing from “communities”. Does this mean local government, or beneficiary contributions? Is that in cash or in-kind? What about beneficiary contributions (see below)? ANSWER: The community beneficiaries have commited to contribiting $2,500 in kind contributions and BWB is contributing US$3,375 in kind and cash. This would be in addition to the $30,875 requested from BPR. • For the piped water users, O&M costs are estimated to be only $808 per YEAR. For similar sized (number of beneficiaries) pumped treated water systems in Vietnam, the monthly O&M cost is about $250 per MONTH. Is this $808 a reasonable estimate? ANSWER: Yes. This will go towards payment of the kiosk attendants, as well as a contribution towards the book keeper. Note that this is after they have paid the water bill to Blantyre Water Board. They will be collecting much more than this, which they will use to pay for the monthly water bill and remain with at least that for maintenance. As already highlighted, they are only responsible to do maintenace from where the meter is to the where the actual kiosk is. So basically they will do mantenance of the Bib taps, some valves, meter, and soak away pits. The pipelines, treatment plant and tanks are part of the Blantyre Water Board responsibility. Water bills include the cost for maintaining the system. • Will tap users pay? ANSWER: Yes. They will pay enough to cover for the Blantyre Water Board bills and O & M and kiosk management admin costs. • Co-financing (cash and in-kind) by local government (cash) and beneficiaries (cash and in-kind services such as digging the pipe line trenches)? ANSWER: All water provided by BWB is not free but has a fee. This a custom and everybody is aware of this. Actually without the kiosk, people from these low income areas pay more for water if they buy from and individual, which forces them just to buy one bucket/day just for drinking and get the rest from unprotected sources. • Who will provide operation, maintenance, repair and replacement technical support? ANSWER: The subtechnical committee for Operation and Maintenance will be trained to do minor maintenance. In the case of major maintenance, the O & M committee will hire a plumber or technician from Blantryre Water Board or any other private sector and pay using the tarrif collection. • Are all necessary parts and materials readily available at reasonable prices from local providers? (I assume so, as it is apparently right outside the capital city). • Who will establish (and adjust from time to time) the water tariffs? • Are there qualified local private technicians (or possibly Water Board staff moon-lighting) who can and will be willing to provide technical support services as required? Presumably yes, as it is near the capital city. ANSWER: Yes, engaging the private sector to provide technical support is a part of this proposal. Maybe tomorrow you can get a chance to clear me up on one detail in the budget. The project mentions latrines, but it looks like the budget only talks about the water, education and local capacity building (and admin) mostly. (unless it is in item #3) Does each family pay for their latrine? The $2000 or so in #3 doesn't seem enough, as it includes quite a number of other items. Line item 3 in the budget does include the latrines, but just the cost of the slabs and the start up materials for the sanitation promoters. The latrines are unsubsidized from start to finish. The slab costs 2500MK ($18 USD). $900 total for 50 slabs and $1100 remaining is sufficient to cover the other line items, including the start-up materials. The 50 households are chosen based on demand and the ability to come up with 50% of the cost of the slab prior to installation, the remaining 50% within one year and the labor costs for the sanitation promoter at the time of construction completion. Each household chooses the latrine design (from a menu of options) based on their individual needs. Water For People and the local partners will be responsible for identifying individuals within the communities that have an interest in business, are plumbers, or builders or have something to contribute towards being a private sanitation promoter. Once these individuals have been chosen, there will be several trainings held on construction, design, pit emptying, finance, bookkeeping, project organization etc. so that they can sustain their business. They will then be given a start-up kit that will include necessary tools and materials (2-3 bags of cement and some rebar) required to construct the latrines. The EIB has requested Water For People--Malawi and WaterAid Malawi to apply for a $30 million grant to do large scale watsan interventions in Blantyre and Lilongwe respectively. As part of this grant, Water For People--Malawi is researching the most sustainable pit-emptying options for the peri-urban. At this point, they are looking to purchase motorbikes attached to tanks with pumps that can easily maneuver through the dense peri-urban housing areas in order to empty the pits. This operation/business would also be operated by the sanitation promoters. Another part of this would be the implementation of pit lining to further facilitate pit emptying. The details of what it will all look like are still being worked out. Steve Sugden at the London School of Hygiene and Tropical Medicine (long-time colleague and friend of Ned's) has been doing research in this area for many years. Water For People--Malawi will be using his experiences and research as a starting point for all of our work in peri-urban Blantyre. There is a tremendous amount of information in this regard on the internet. Water For People--Malawi has promoted composting latrines throughout all of its programs, but has found that it is not all that successful in the peri-urban areas. People in peri-urban Blantyre are opposed to the idea of using manure because they do not have household gardens where it can be applied, and the market for selling compost does not exist in the urban areas like it does in the rural communities. If this can be piloted in areas of Nicaragua to see if there is a different reaction, that would be good. We are happy to chat with you further about any of this. - Where is the source of the water? - How big (estimate) is the source? - Can it run out? I am assuming demand will grow - what are population pressures? - Is it being recharged? Is that possible? - What are the issues regarding quality and purity? - Charging for water usage? From the standpipe onwards, its a good project, but i have (as others) have questions about the source. There are two sources of water for Blantyre Water Board. The Mudi Dam which is in City of Blantyre and the Shire River which is 20km from Blantyre City. The water produced from these sources can be supplied to any part of the city through a network of pipes and system of pump and valve operations. Mudi Dam which normally supplies Machinjiri and Nkolokoti areas, has the capacity of 45,000m3/day of treated water. Shire River Treatment Plant has the capacity of 80,000m3/day of treated water. However the Shire River Water Source has unlimited capacity of raw water. The limitation is the current capacity to treat water. Mudi Dam somettimes dries out when there has been a drought. However Shire River is very perenial in nature as it drains from Lake Malawi. So in terms of raw water, the souce can be regarded as unlimited capacity-the source can be regarded as not one that can run out because in times of Mudi Dam running dry Shire source becomes the only source supplying all the areas within Blantyre Water Board mandate. Blantyre Water Board uses conventional treatment plants to achieve potable water of acceptable standards for Drinking Water by WHO satandards. So quality and purity is of acceptable standards. In unplanned areas, the most common mode of connecting to the Blantyre Water Board Supply is throgh communal water points/kiosks. Usage at these kiosks is at 0.02USD per 20 liter container. That is what we are supporting. Most of the water supply distribution is in the high income areas but not in these areas where low income people stay. So by supporing this we are improving on equity. We will identify Hygiene promoters, who will be oriented about issues of Hygiene and Sanitation. We will also train the Executive and the teachnical committee on Water Point Management. Thoughtful and clear proposal. Important to recognize the challenges to sustainability and build capacity of local political bodies and other organizations. Seems to be a good proposal overall, but I think that the financing (capital investment and O&M) needs to be cost-shared by the eventual beneficiaries. The days of free water are over. Even low-income water consumers should cost-share both capital investment (they could be required to dig all the pipelines trenches, for example, and pay for their individual house connections), as well as O&M costs. If not, the water wastage could be significant, and could possibly even undermine the system financial sustainability. Good luck. Recommend for sustainability that community and Water for people organisation establish good cooperation/contract with Blantyre Water Board, since water will be provided by the Blantyre Water Board. A good peri-urban project, though i am nervous on dependence on the gov't and lack of control over the water source. WFP is a good organization and have considered the project well. Urban projects are not my favourite, but you can't argue with the need for them. I asked my question late, so maybe Wende will answer later, but it is not a deal breaker.